Last day of the first month of the Beer for the Year 365 challenge today. It has been a pretty good month. Including the beer that I will have later courtesy of BeerBods, Stringers Dry Stout, I will have had 43 different beers in January, 12 beers ahead of a beer a day. As a Scientist, I know that my fellow Scientists, particularly the Biologists, love statistics. So I thought for this post I would prepare and show some stats for the last month. Reflecting on the last month of beer and the availability of beers, I really cannot see that there will be a problem getting hold of and trying 365 different beers (well, another 322). There are plenty to be had at local shops and supermarkets or in local pubs. A weekend away to another place in the UK or abroad will give plenty of opportunity to try beers from other places. Then there is the Beer festivals, the holy grail of getting to meet new beers. An article I was reading the other day said that there were around 1000 regular breweries in the UK serving around 5000 different kinds of beer. That is a lot of beer. So with that in mind I cannot imagine where I could go wrong! Beer festivals, the favourite friend, the indispensable companion, the partner in crime, the brilliant ally, the undisputed best mate of 365 beer challenges. You get the point. Where better to sample many different kinds of beer, all in one place, to help increase the beer count in the 365 beer challenge. 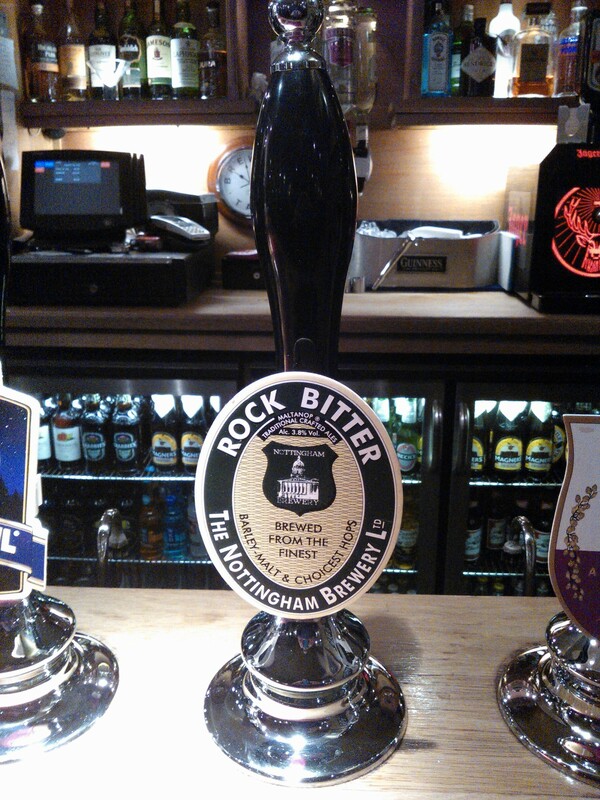 The first beer festival of 2013 (the first of many, I hope) was attended by myself and Conchi on Friday night. The festival in question was the Winter/Dark Ale Festival at the Turf Tavern. The choice was good, 12 porters, stouts, milds and dark ales to choose from. Now, I am not really keen on dark ales, at least not the real dark ones like porters and stouts but I thought I would give them a go (my friends Carol and Andy would be proud, my parents? not so much). 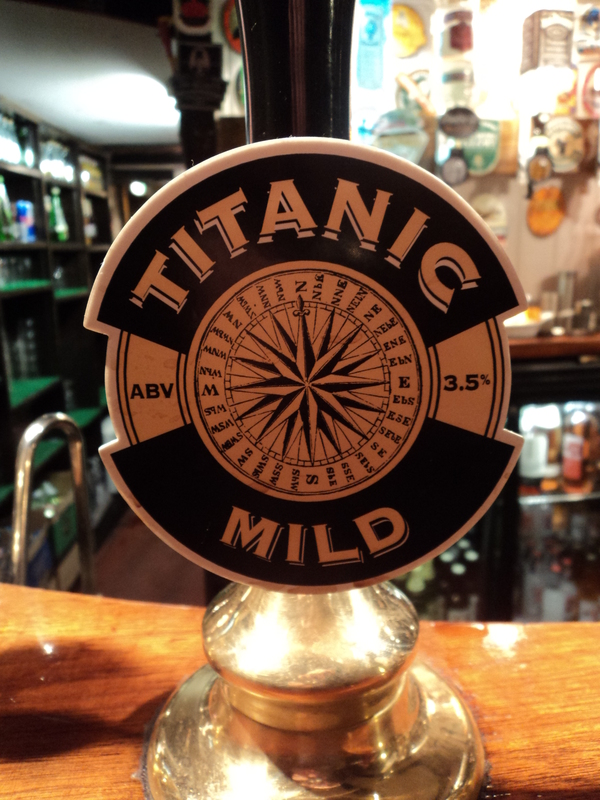 I am partial to a good mild though and this festival had a few. Thanks to rule 6 (the rules I made up for this challenge), I was able to try five beers without producing a hangover on Saturday morning i.e. by having 1/2 pints! I get a hangover fairly easy these days and 5 pints would definitely push me over the edge. 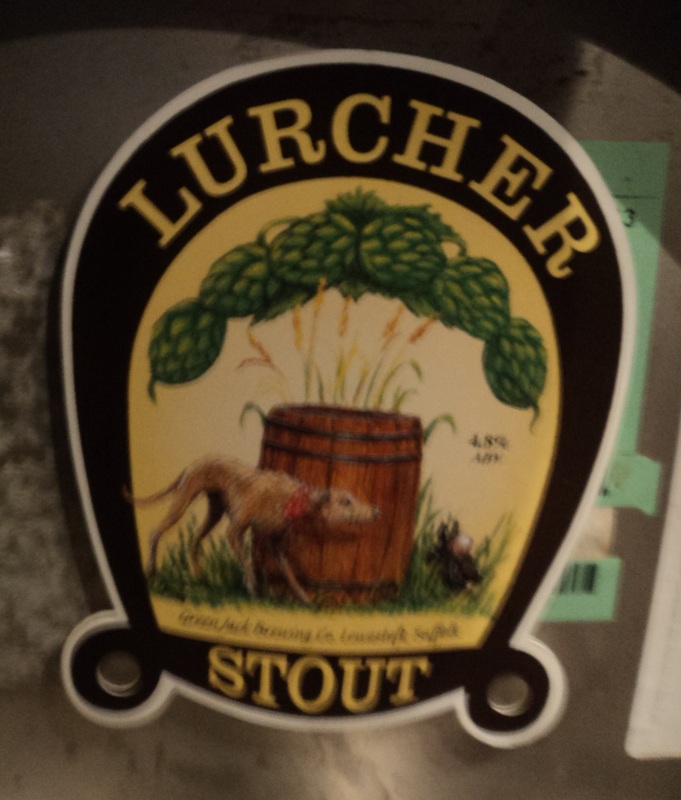 Favourite beer of the night: Lurcher: I know, a stout! But it was a bit fruity, a bit chocolaty, well-balanced with hoppy flavour and nice and smooth. 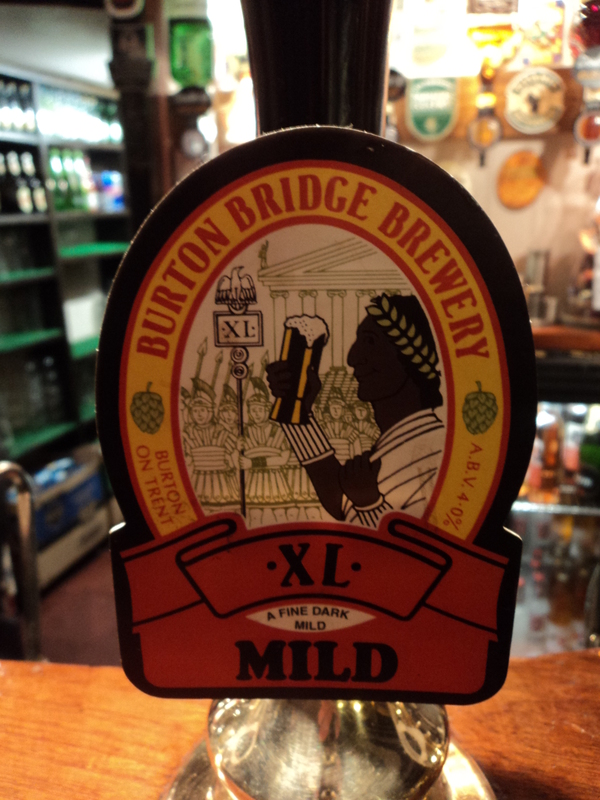 Best Mild of the night: Burton Bridge Mild: Very nice flavour, nice and mild, not too bitter, slight taste of chocolate. After this first proper foray into the world of dark beers, maybe I am coming round to the thought of sampling and drinking a few more of them. 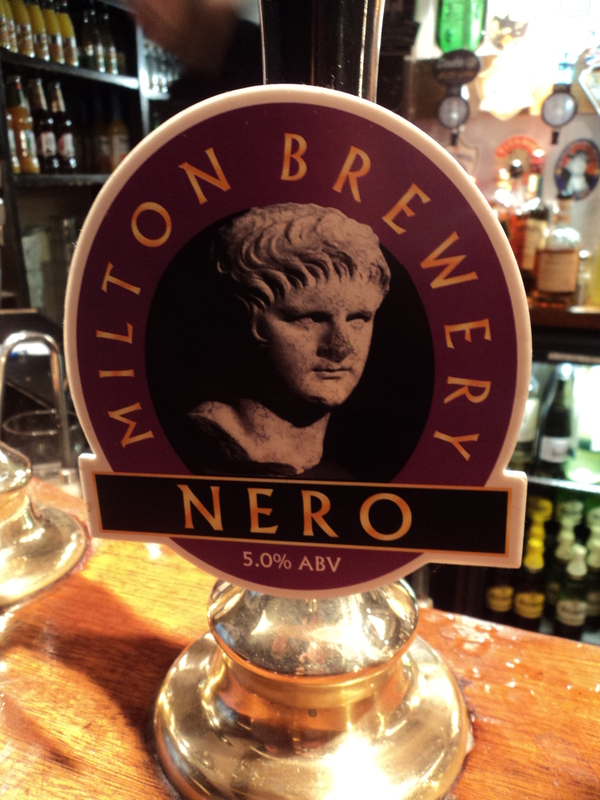 Maybe the next time that I am at a beer festival, I may be more easily persuaded to try a bit more of the dark stuff (Carol and Andy make a note of this info). There is no doubt that a few more beer festivals will be visited this year. I will be frequently keeping an eye on the Oxford CAMRA festival diary for the next one that I can attend. What beer did I have? Sunday Roast. What could be better than a Sunday Roast? A nice walk in the snow down to our favourite pub for a nice Sunday Roast. Even better, I could have a new beer and add it to the list. Exciting! Conchi and I went with this plan and took ourselves down to the Brewery Tap for the famous (well in Abingdon it is) Sunday Roast. 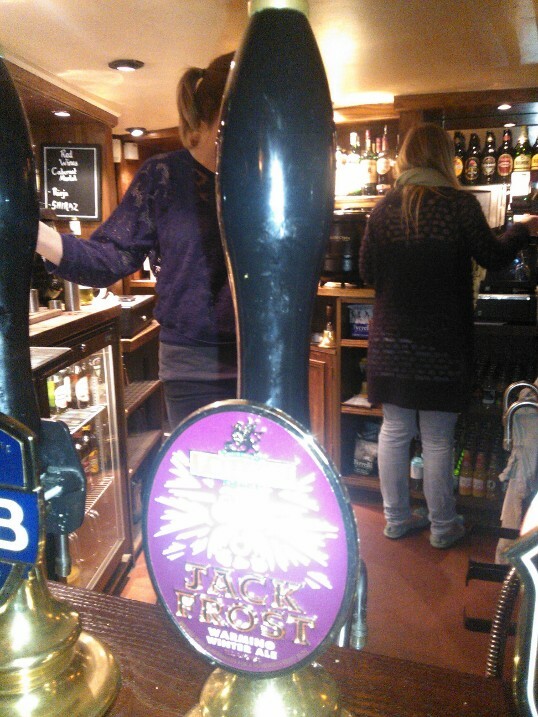 We arrived at the nice warm pub and I surveyed the hand pumps. Not that one, its off, not the second one, Abingdon Bridge (already drunk) but the third, Hartleys Cumbrian XB, this was the one for me. I was happy. We were shown to the table where our drinks orders were taken and the food order too. I will have a pint of Cumbrian XB please. The beer arrives and it is an amber brown colour with a pleasant taste, similar to others that I have tried over the last year or so. I would like to say more about the flavour but I don’t really know what I am talking about when it comes to these matters. At the moment, if a beer tastes good it is good and vice versa. The food arrived and over the next 20 minutes we finished everything on the plates. A really good roast beef and roast duck, highly recommended. No I didn’t have two, one was Conchi’s. No room for dessert so we asked for the bill. Checking the bill, imagine my surprise when I saw an item that read Abingdon Bridge! I am sure that I asked for Cumbrian XB. ‘Yes, you did’ said Conchi. Maybe I had the right beer but the wrong beer was put into the till? Maybe I did receive an Abingdon Bridge, one of my favourite beers? (but I have already added this one to the list) If I did receive my favourite beer, how come I did not recognise it? What colour is Cumbrian XB supposed to be? So many questions. With these doubts in mind, we paid for the bill, took a look at the hand pumps and left the pub not knowing whether I could add a new beer to my list. At home, we checked the tasting notes for Cumbrain XB to discover it is pale golden ale. Being a scientist (not really sure what this has to do with it), I put all the evidence together and decided that I may not have had a new beer and therefore it could not be included on the list. To be added to the list there can be no ambiguity as to which beer I had drunk. The moral of the story: always order beer from the bar. You need to see what is being poured, especially when you are doing a foolish 365 different beer challenge. In my quest to find different beers to fulfil this quite momentous task that I have set for myself, I have signed up to a website called BeerBods. 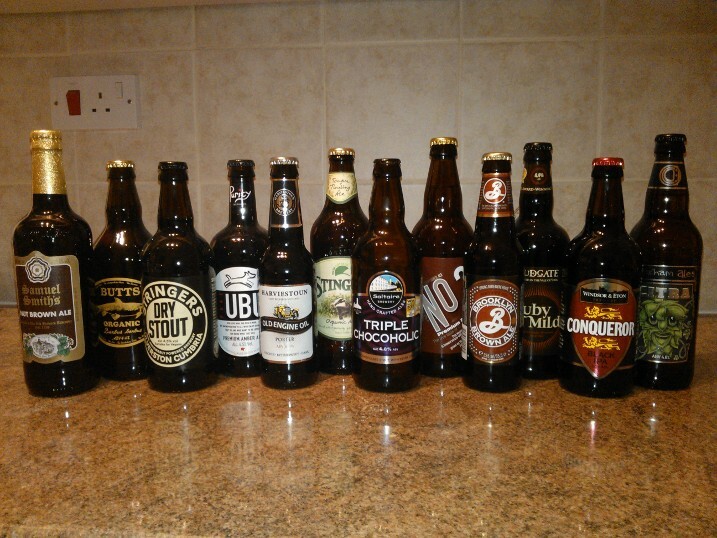 In a nutshell, you pay your money and BeerBods send 12 different beers to your door every 12 weeks. Great! Then on Thursday of every week BeerBods say to you which beer you have to drink that week and have a live twitter tasting. Everyone drinks the same beer and, if you feel like it, you can make a comment on the website rating it. I am not sure about this part as it does seem pretty weird to me *he says writing about beers on a blog entitled ‘Beer For The Year’*. I signed up to this last Sunday (13th January) and by Tuesday afternoon I had in my possession 12 excellent new beers, 11 of which I had never seen or heard of before. I say excellent but I have only sampled one. 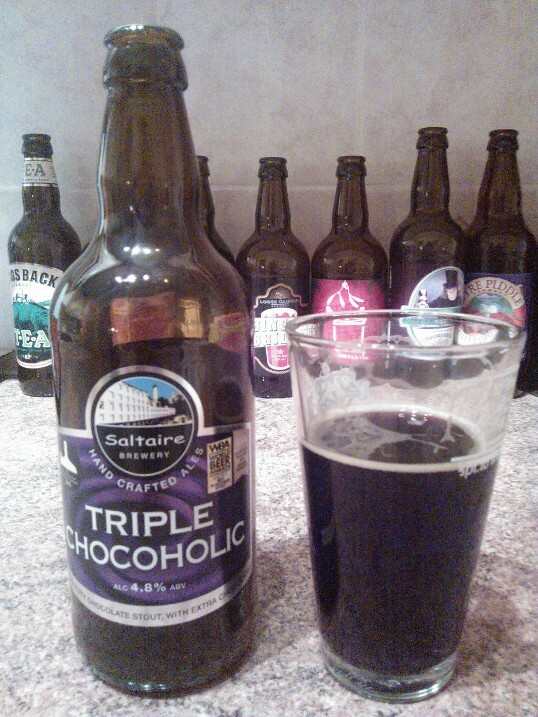 Last night was the first Thursday after the delivery and BeerBods dictated to me that I should drink the Triple Chocoholic stout by Saltaire Brewery. Apparently this beer came to life as a result of a bet, trying to be more chocolatey than Youngs Double Chocolate Stout. Now I like chocolate a lot (I know, what a surprise that I have said that) and I like beer a lot (again, what a surprise) but I was not sure about Triple Chocoholic. Currently, I am not a big fan of stouts or very dark beers, although I am sure that will change, and have to change, if I am to make it through to 365 beers. So when I tried this beer, I was pleasantly surprised. It is made with chocolate malts, real chocolate and chocolate syrup but does not taste too sweet, in fact a very balanced taste. The beer is not heavy at all, very smooth and comes without the dark beer bitterness that you normally seem to get with dark beers. So I am a fan of this first beer that I have tasted with BeerBods and shows promise for the rest of the beers. Although BeerBods send an email on Thursday to tell you the next beer to drink, their website shows the beers for the subsequent three weeks. The next beer in the queue is Pure UBU. I am looking forward to trying this one again. Having decided to start this beer challenge part way through January, this first post has had to happen half way into January. I think I have got off to a fairly good start, which prompted the idea that I might be able to do this in the first place. I am already up to 20 beers with 17 days passed (I should be on 21 later this evening), so slightly ahead of the game at this stage. 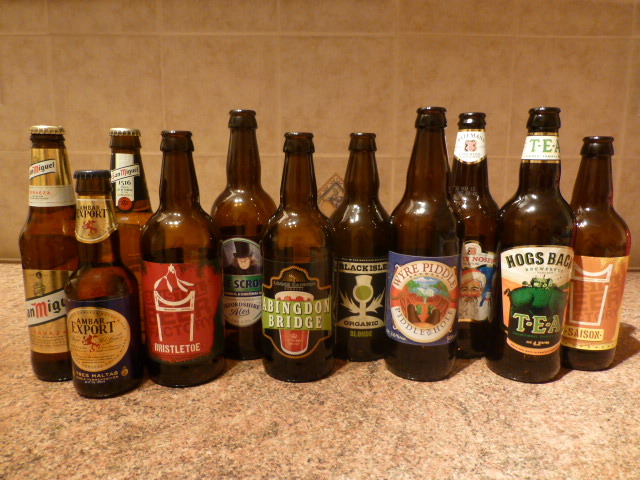 The photo shows only 11 of the beers that I have tried. 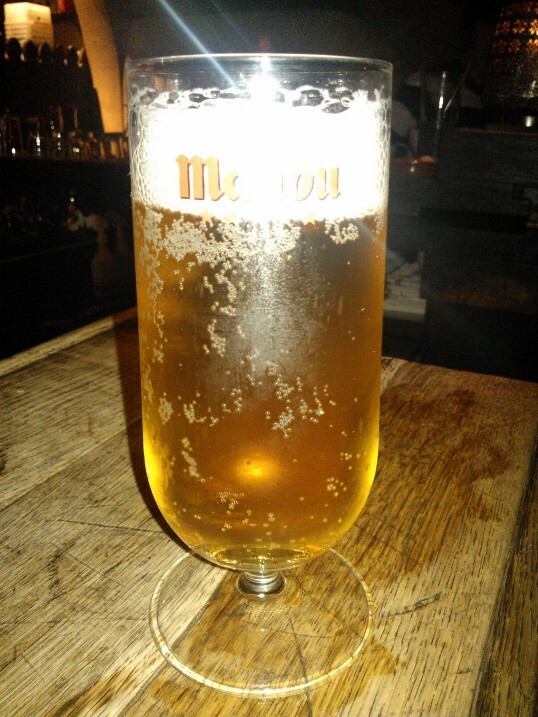 The other beers have been mostly on tap from bars and pubs in both Spain and England. My favourite two beers so far have been Loose Cannon Brewery’s Abingdon Bridge and Young’s Winter Warmer. Although I do like San Miguel 1516, it is so much smoother than its brother, San Miguel. Unfortunately it is only available in Spain. We did have a couple of interesting beers at the Brewery Tap Pub quiz on Tuesday night, Spectrum by the Salopian Brewery and Rock Bitter by The Nottingham Brewery. 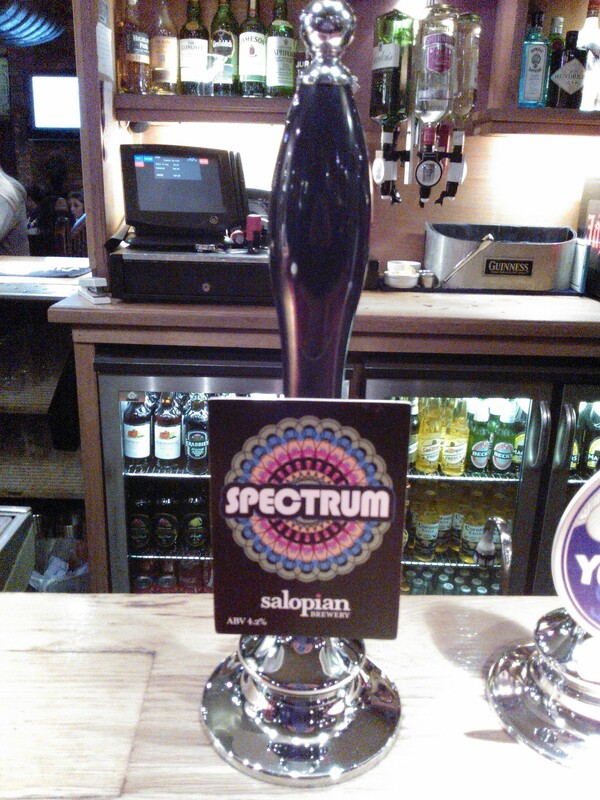 Spectrum was an amber beer with large creamy head and an excellent pump clip. 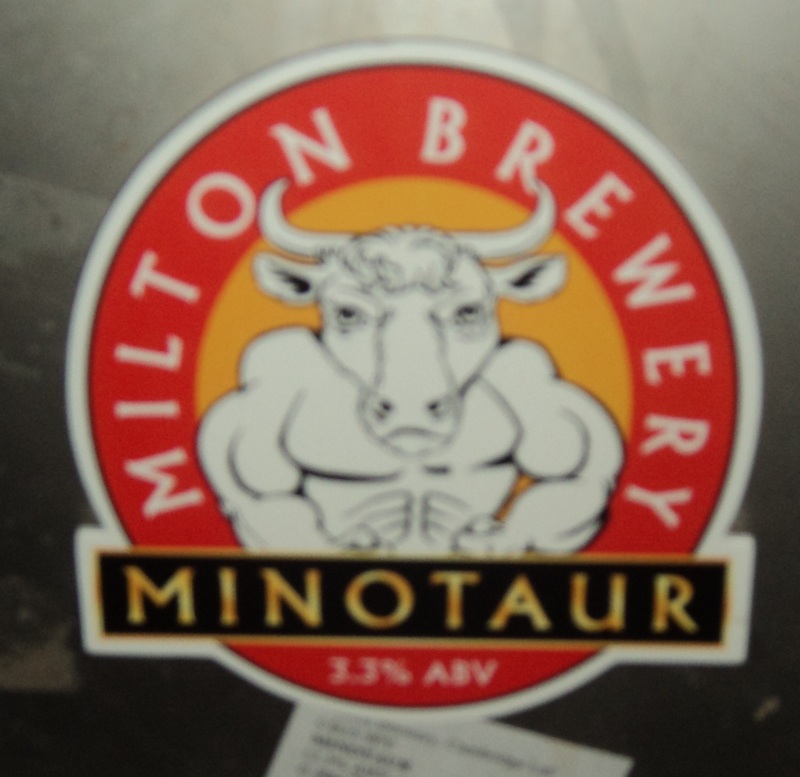 Quite often, as I am sure with most of you, I am persuaded to try a beer by the cool image or graphic on the pump clip. Rock Bitter was a very light golden colour with a fresh, hoppy taste. I preferred the Spectrum as did my drinking companions, Simon and Chris. The beers were definitely more interesting than the outcome of the quiz. Second from last was where we came with our ace team of quizzers, Conchi, Simon Peel, Rob Emery, Harriet VRH, Chris, getting 30 out of 53. Oops!